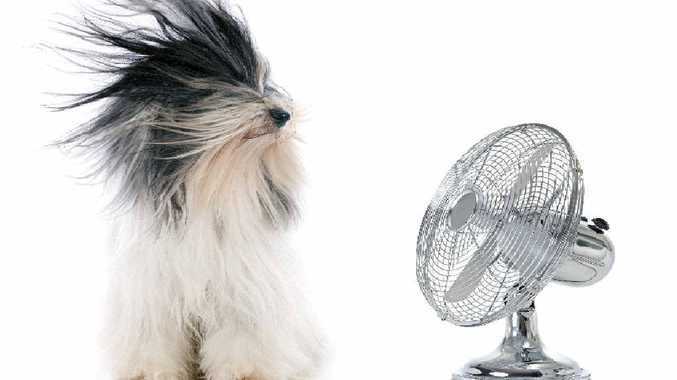 YOU might not need to spend a fortune running air-conditioning to stay cool at home. Try these expert tips for reducing heat without burning your budget. Provide natural cross-flow ventilation wherever possible. Louvre and casement-style windows are great for encouraging air flow as they have a 100% opening area. Try to open windows opposite each other. Install external awnings to keep the sun out. The larger the airspace between your window and the awning the better as this will prevent the heat radiating into your house. Use or install heavy curtains with a white or foil backing. Plant trees that will grow to block the sun, and low-lying shrubs that will stop the soil around the house heating up. Install double-glazed or tinted windows. For a cheap and temporary solution, use aluminium foil - spray the window with water and roll the foil onto the wet glass, smoothing out air bubbles and gaps. Turn off halogen downlights. They produce lots of heat. Better still, replace them with LEDs which barely produce heat at all and are cheaper to run. Open up the house at night once outdoor temperatures have dropped. If you have a concrete floor or bricks internally, they will "store coolness" and help cool the house the next day. Spend evenings outdoors to lower your body temperature while the house cools down. Consider installing solar cells to generate electricity out of all those rays to offset your air-conditioner use. If (when!) you do use the air-conditioner, set the thermostat around 24-26°C. It will still be enough to take the edge off a hot room. Setting it that bit higher could halve your air-conditioner's electricity use. ADDING further insulation to your home can have huge effects on its liveability. It can also provide significant savings on energy bills - up to $400 a year just with ceiling insulation. Most new homes have ceiling insulation - but depending on the location of a property, this may prove insufficient. Older homes often have none. Insulation may seem like just adding a protective layer to your house, but planning and installation require extensive knowledge and experience. Understanding the classifications of climate zones, building code requirements and the interaction between state and federal law can be a right headache. But the biggest reason insulation must be handled by a professional is safety. The task involves inserting flammable material into wired areas, so minimising fire and electrocution hazards is paramount. Explain it once: No ring-around. Say what you need done, on servicecentral.com.au or on 1300 557 917. Get up to three quotes from certified, licensed, insured and qualified businesses. Use quotes, feedback and online profiles to select the right provider for you. And leave your own feedback.